The line of cars waiting to park was not as bad as I’ve seen it in the past (on opening day), but we still were creeping along for about 20 minutes before we got a spot. 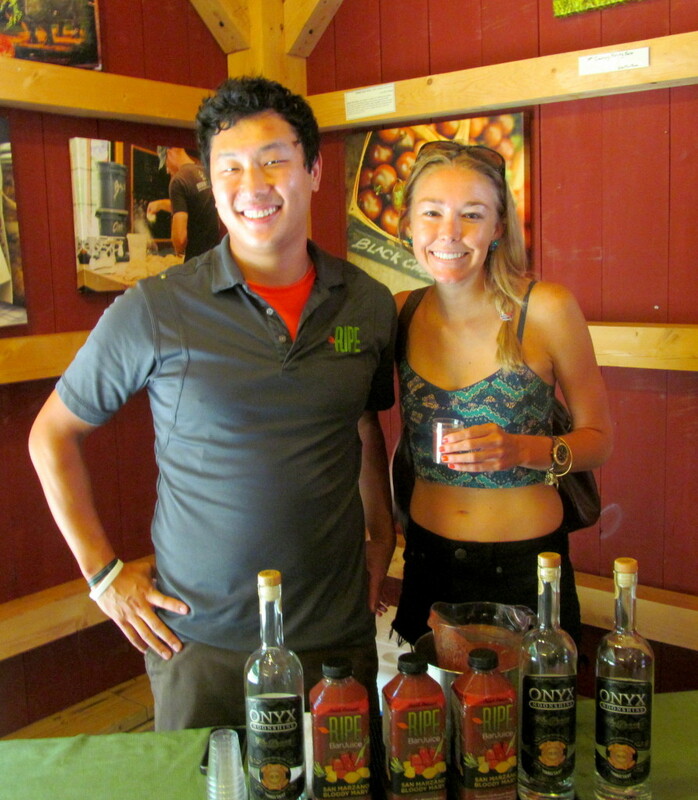 I’d heard word that two of my favorite local companies, Onyx Moonshine and Ripe Craft Bar Juice, would be in the barn pouring free cocktail samples so of course we made a beeline for the barn first. The go-to event guy from Ripe, Dave! I’d forgotten how delicious Ripe’s San Marzano Bloody Mary juice is! Definitely remains the best bloody mix I’ve ever had. Onyx Moonshine reps were pouring a watermelon-blueberry infusion in honor of it being Blueberry & Bluegrass Day at the market. I was excited to finally wear my new Free People (from Rue La La) crop top & American Eagle festival shorts! 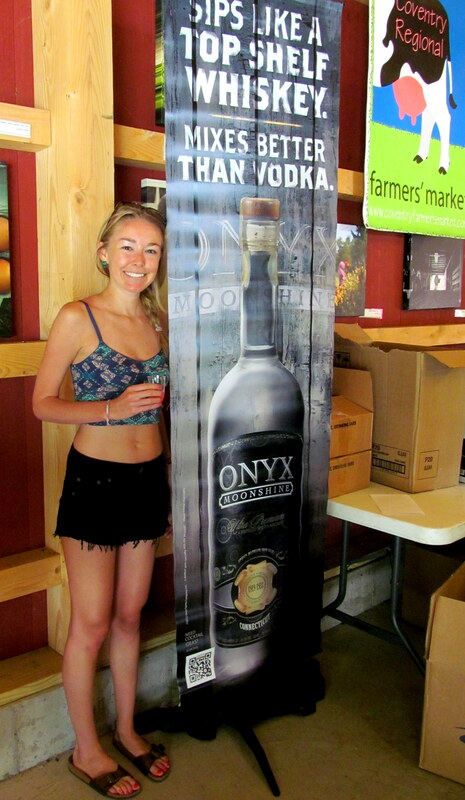 Not only was it Kat’s first trip to Coventry Farmers’ Market but it was also her first time trying Onyx Moonshine. She has a good excuse though (she was pregnant with Penelope when Onyx got really popular). We both loved our infusions enough to go back for sample-seconds. I just love how smooth Onyx is; makes it easy to sip on their infusions straight, no more additives needed! 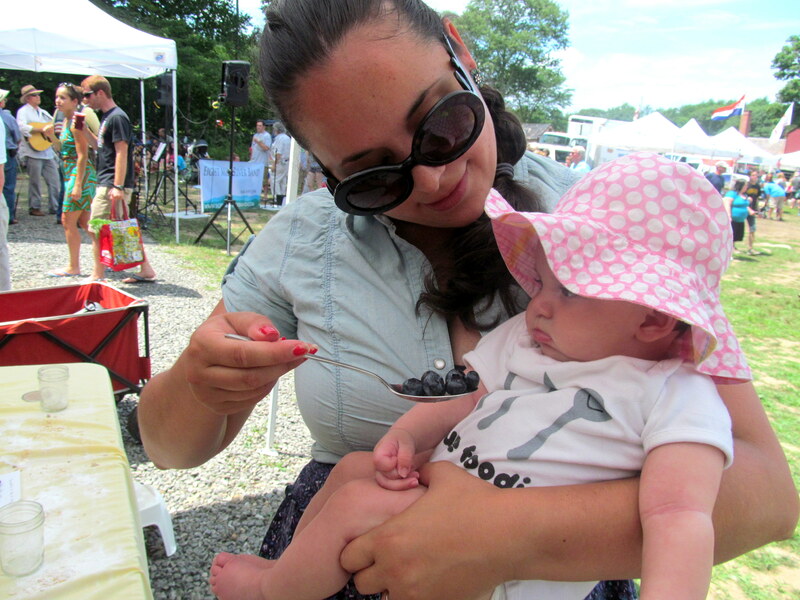 Each Sunday the farmers’ market does a free kids’ activity, so Penelope got the chance to “make” her first blueberry crumble! She did a great job…Mommy taste tested! PS. I got her that hat. I spotted a booth making and selling fresh veggie juices for $7 each. Alas, that’s pretty much a standard cost for those, so Kat, Hannah, and I jumped on it. The day was proving to be rather hot and I was craving ALL the vegetables, so my juice (kale, celery, lemon juice, ginger, apple) hit the spot like no other. I turned Hannah on to green juices made with apple during our last trip to Florida! I also enjoyed more samples, this time of the food variety. I’m not a total moocher though…I came out of the market rich with salad ingredients, but poor of money. WORTH IT! Some of my finds were standards I look for during each visit, but some were new! Sugar Plums: I had never seen real sugar plums before and snagged the above batch for $5. They taste like a cross between a plum and a nectarine! I’m enjoying making them with my plain Chobani for a pre-afternoon-gym-session snack. I got impatient and had some less red ones – not the best. Must wait for them to ripen! Lazizah Bakery (Yantic, CT) Tabbouleh: The owner and runner of the booth, a jolly older man, cracks me up EVERY year! He kept telling me to “calm down” as I (apparently) frantically asked him if he had any tabbouleh left. I got the last one! It’s been wowing me in my salads all week and was definitely worth the $4.75. Christine’s Country Kitchen Pickled Things: ALL the pickled things! I got the same pickled beets I purchased and adored last year (sugar-free…sweetened with stevia)! I also purchased two new-to-me Christine’s products, pickled green tomatoes and giardiniera (pickled veggies). All three jars have been slowly emptying as I make my salads each week. I took advantage of the 3 for $12 deal. Norm’s Best Original Marinated Mushrooms: I first sampled these last year and loved them but had already spent a lot of money. I made sure this year to budget for a jar ($6) and swear I could just sit down and eat the whole thing. But I don’t because they are just too good in my salads. Capa di Roma EVOO: This was actually a purchase resulting from my mom’s request to find a “another good olive oil” because we are almost out of the Aria EVOO I got back in February, in my Mohegan Sun WineFest swag bag. At $13, it was almost the cheapest EVOO available at the market (I spotted a $12 bottle after I’d bought this one but didn’t sweat too much over it). Stonewall Apiary Beeswax Candle: I love beeswax products and these candles burn so cleanlu and smell lovely! They also last awhile. The pine cone shape is adorable. Dragon’s Blood Elixir Maple Roasted Apple Hot Sauce: Dragon’s Blood hot sauces are a Connecticut staple. I’ve seen their booth even at tiny farmers’ markets and owner Doug is very generous with samples! I’ve tried many flavors over the last couple years of various farmers’ market visits and finally purchased my first bottle of Dragon’s Blood. This flavor is going to be stellar on pork or turkey burgers! Nora Cupcake Company Apple Bourbon Crumble Cupcake: Kat and I visited the cupcake truck at the beginning of our visit and picked out our cupcakes. We had a feeling they’d sell out but wanted to take them home for another time, so super-nice Nora staffers Carrie and Ryan put aside our cupcakes for us. And good thing because when we came back later, they were sold out of the ones we picked out! Butterscotch chip cupcake, Jack Daniels apple filling, vanilla buttercream, butterscotch drizzle, and crumb topping. I definitely wasn’t in the mood for a cupcake this past weekend but I was proud to be totally okay with buying one to take home and have another time. In the past I would have shied away from buying the cupcake because I would not have trusted myself to not devour it on the spot, and I would have been afraid to even just have it sitting in my house in the fridge. I ended up enjoying this delicious dessert over a couple of evenings, when I was craving it. I stopped when I was full the first night I dove into it and was pleased to have the leftovers the second night. A win for me, and made all the more easy thanks to the delciousness (yeah yeah it’s not a word) of the Nora cupcake. The famous blank and pink of Nora! Hannah did not purchase anything other than her juice but Kat made me feel better about my local-goodie retail therapy and purchased her fair share of things too. Eventually our support of the local Connecticut economy resulted in eviction of Penelope from her stroller. 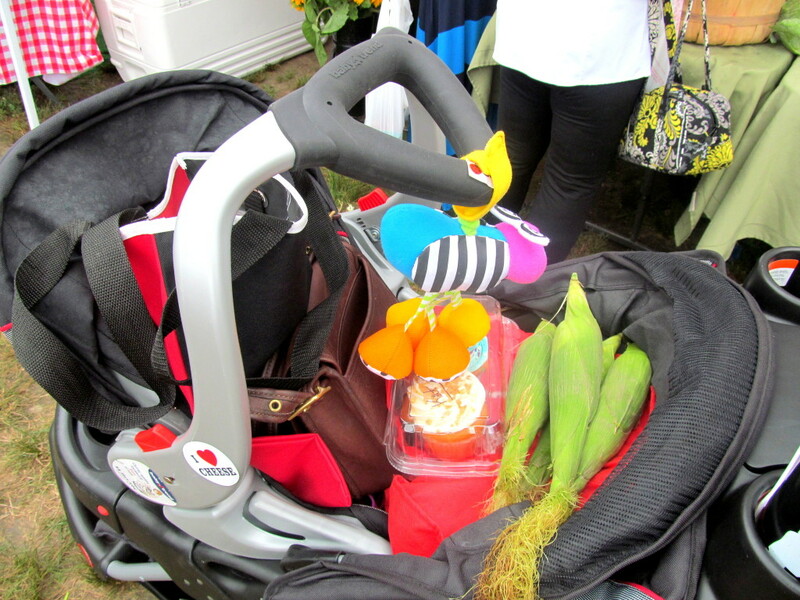 There’s no baby in here, just cupcakes and corn. I think she was okay with it because it was a warm day and she wanted to be out and about, checking out her surroundings. I totally was into all the attention I got whenever I carried her around. Kat always says you have to remind yourself it’s the baby people are fawning over, not you. If you don’t want attention, don’t carry an adorable baby girl around. Hey! 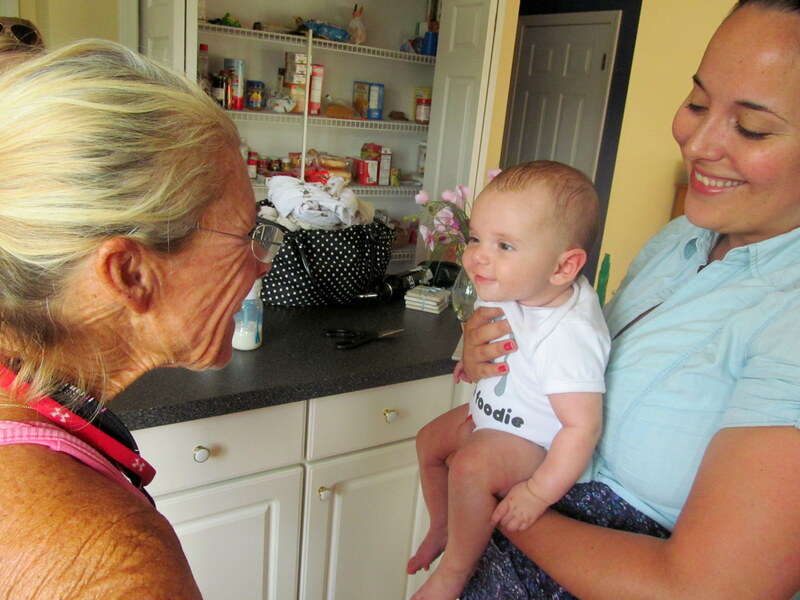 Check out the cute baby! I took Penelope on a little walk while I was on the hunt for some unsweetened iced tea. 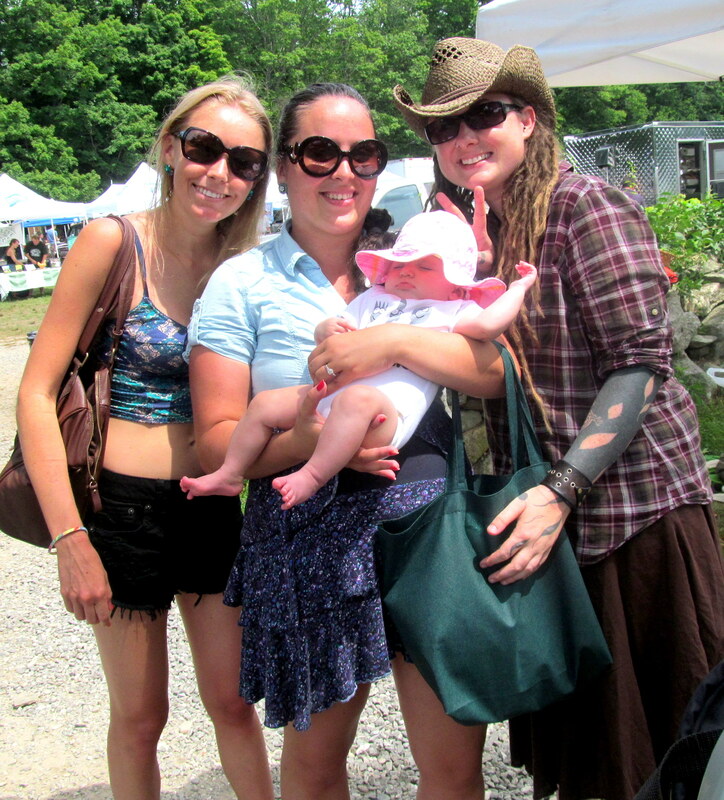 The Ashlawn Farm people were very patient with me as I tried to juggle her, my purse, my wallet, and the Goji Berry tea. Just that ten-minute time period was very stressful. Props to moms! If this is me after ten minutes, I don’t want to know what the future holds. After looking at that photo I’m sure you’re not surprised to hear that Penelope was getting very cranky by this point. Plus the market was closing (it runs 11am-2pm), so we got ready to hit the road. Right before we headed out, Kat spotted someone incredibly awesome…Chion Wolf! Chion is seriously one of the coolest people I’ve ever met and appears on my beloved WNPR. I’ve been fortunate enough to participate in a couple of events with her and if there is every anything going on in the Hartford area, one can almost be guaranteed a Chion run-in! I’m happy my sister got her first one. Can you spy the bunny ears on the sun-drunk baby? The Coventry Regional Farmers’ Market never fails to impress me and I hope I get back again this season. My sister is now super excited to attend farmers’ markets when she goes back to school next month! The event was just what I needed this past Sunday and I could not have asked for a better Sunday Funday – or better people to spend it with. Another Glastonbury blogger, Alison, recently did her own write-up on the Coventry Regional Farmers’ Market, and the importance of farmers’ markets in general. 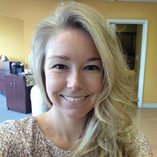 Be sure to check it out – her photos are beautiful! What’s your favorite product that I sampled and/or purchased? Are you a farmers’ market frequenter? What kind of products do you look for there? What’s your ideal Sunday Funday?